Rondo 1 | HOCHTIEF Development Poland sp. z o.o. Complex „Rondo 1” was put into operation in March 2006. The central location of the development as well as bus and tram lines in the immediate vicinity of the building provide excellent connection of Rondo ONZ with the entire city and the airport. and the smaller ten-floor building A with a façade of opaque frosted blind-like glass, located on the side of Świętokrzyska street. 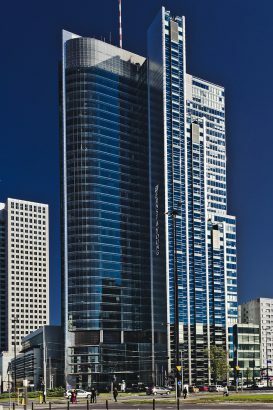 The design of the Rondo 1 complex is the result of cooperation between the Polish architectural studio AZO and world-renowned American architects Skidmore, Owings & Merrill, who specialise in the design of high-rise buildings and have a proven track of projects such as the Sears Tower and the John Hancock Building in Chicago. 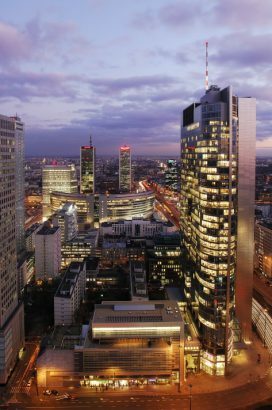 The development is the first in Warsaw to offer the most modern high-altitude building of Class AAA with its office space conforming to the highest global standards and capable of being arranged in any way so as to meet the needs of the most demanding tenants. 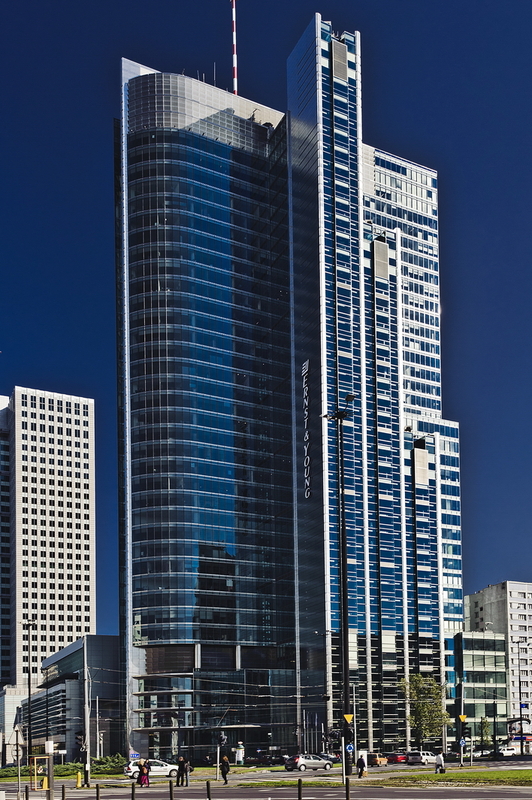 In February 2011, the Rondo 1 building, as the first in Eastern Europe, was awarded a Gold LEED certificate (Leadership in Energy & Environmental Design) in the category of „existing buildings”. The LEED Gold certificate award is the result of over a year of an ongoing process of implementing in Rondo 1 green solutions fostering environmental protection.